Gallery MOMO is proud to present a group exhibition featuring George Pemba, Dumile Feni, George Hallett, and Leonard Matsoso. Each of these artists has been labelled a “master” in his own regard. But what makes a master’s work? Is it the craftsman’s skill? Is it the political moment surrounding the oeuvre? Must it be avant-garde, socially and formally? Must it be made at the height of an artist’s successful career, or does mastery spawn from suffering? Is the cultural significance of a work determined by the public, or by galleries, museums, and auction houses? If the space between an object and an art object is difficult to determine, the space between an artist and a historically significant artist is all the more elusive. The works in this show meet at a unique nexus of past and present. On the one hand, they are archival documents. 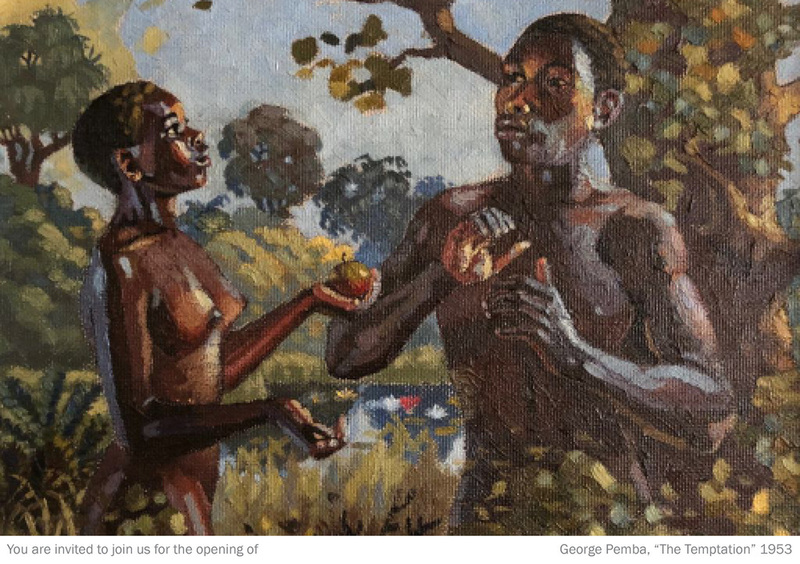 The works of Dumile or Pemba belong to a specific historical context. Their works and biographies speak to issues of oppression, censorship, destitution, and exile in the context of the apartheid regime. On the other hand, the images and messages in these works continue to resonate with contemporary audiences. Not only do they speak to broader issues of representation, corporeality, materiality, and aesthetics, but these works shed light on social and political conditions that might not look so distant from the so-called past. Typically, the role of the gallery in the art world is to advocate for the new, the up-and-coming, and the never-before-seen. The curation of artwork twenty years old or older normally falls under the jurisdiction of large-scale museums. However, This unique retrospective will cover over forty years of work by South African artists, some of which has never been displayed outside private collections. Join us for a reexamination of these deeply accomplished bodies of work, as well as an inquiry into the ways in which past masters return to make our present understandings of art more legible.